The key, Benusa said, is looking at information holistically. 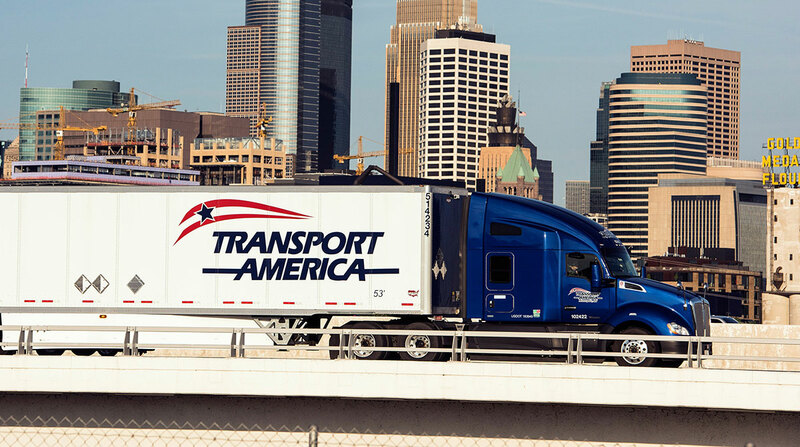 Transport America, based in Eagan, Minn., combines safety-related events with miles driven, for example. “That seems to level it out so you’re not seeing a spike from someone who has 10,000 miles this month versus someone who has 1,000,” Benusa said. Heniff Transportation Systems has created custom scorecards that track several metrics, including driver speeds and days worked. If drivers perform well, they can earn a maximum payout of $500. “For our fleet, we’re trying to get every driver get that on a monthly basis. For every dollar we pay out, we see six times the savings on the back end,” said Justin Neal, Heniff’s director of business integration. The company’s driver scorecard evolves as key measurements change, he said. Heniff, based in Oak Brook, Ill., recently added a tread-depth metric and requires drivers to have tread depth checked every time they fuel. “Our No. 1 cause of a roadside issue is because of low tire pressure, so we added that in every month,” Neal said. Boyd Bros. Transportation tracks fuel mileage on every truck and information on how the driver is operating the vehicle, Senior Vice President of Finance Dwight Basset said. The company records heavy braking and anti-roll messages and uses cameras to help intervene in any unsafe driving patterns. Boyd Bros. also looks at how often drivers have safety events, such as speeding, to identify higher-risk drivers so fleet managers can coach them. The roadside résumé offered by Vigillo, a software provider based in Portland, Ore., combines a driver’s data and produces a single numerical score from 0 to 100 that rates driver performance. Vigillo, a SambaSafety company, is working to use the most scientific data possible to determine which drivers present a greater safety risk than others, Vigillo President Steve Bryan said. “Our goal is to collect all of the data we can that would indicate a safety issue for a driver,” he said. EBE Technologies, which provides business workflow software, also offers tools to address safety and compliance. “We give information on the number of accidents, types of accidents and driver mile-­­per-gallon rates. We can take those statistics and, like on the financials, generate some type of workflow,” Vice President of Transportation Software Cindy Nelson said. Carriers can use data to create customized training. ITI pulls and analyzes that data to identify drivers that need specific training. Having data but not analyzing it could create a liability concern for carriers. “The data is supposed to simplify things, but it either becomes a data paralysis effect, where leadership isn’t sure what to do with it, or it can be used against them in legal cases,” McMillan said. Tracking metrics also can help retain drivers, said Barry Brookins, director of service delivery for the enterprise consulting services division at McLeod Software. McLeod helps fleets track metrics that improve drivers’ quality of life, such as how often the driver is getting home. Dean Croke, vice president of product management for Spireon Inc., a trailer-­tracking provider, has created models that can predict accidents and which drivers are going to quit. Creating key performance indicators for driver recruiting can help carriers fine-tune their marketing efforts and get drivers behind the wheel faster. What’s more, carriers can track retention levels from specific lead sources, Nelson said. That helps them better allocate marketing dollars and find drivers more likely to stay with the company.